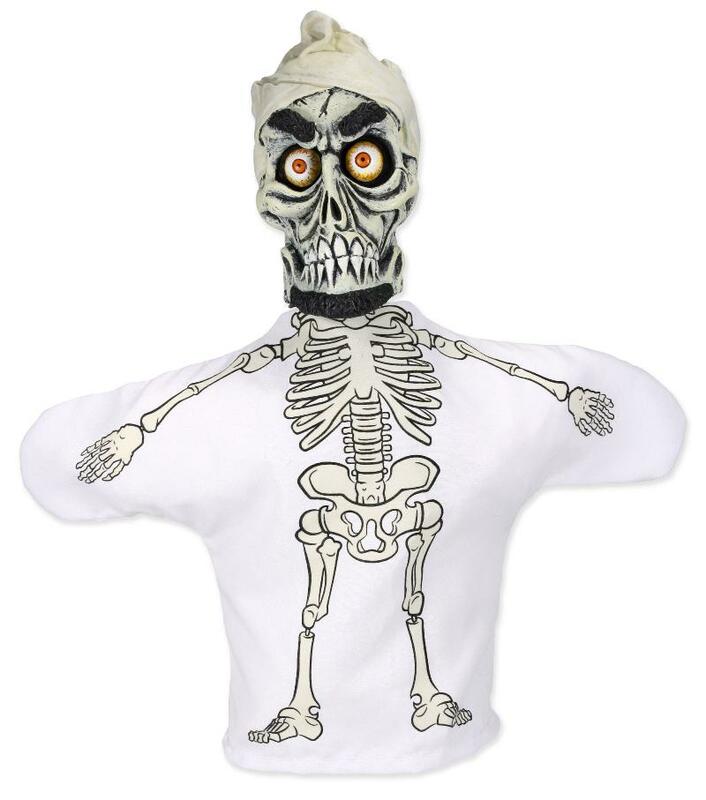 One of comedian Jeff Dunham’s most beloved characters, now in hand puppet form! When Dunham introduced this boggle-eyed skeleton, he set the world on fire… actually, he set himself on fire, then he accidentally blew himself up, and within no time he became the world’s only beloved dead terrorist. Hand puppet is about 10 inches tall, with plenty of room inside to control his arms and sculpted plastic head.